Vale Liz Westoby, Rotarian, humanitarian, Past District Governor, and so much more. Our truly loved fellow Rotarian, Liz Westoby, passed away on 11 June 2018. We want to pay tribute to her for the service and connection she gave to our club. 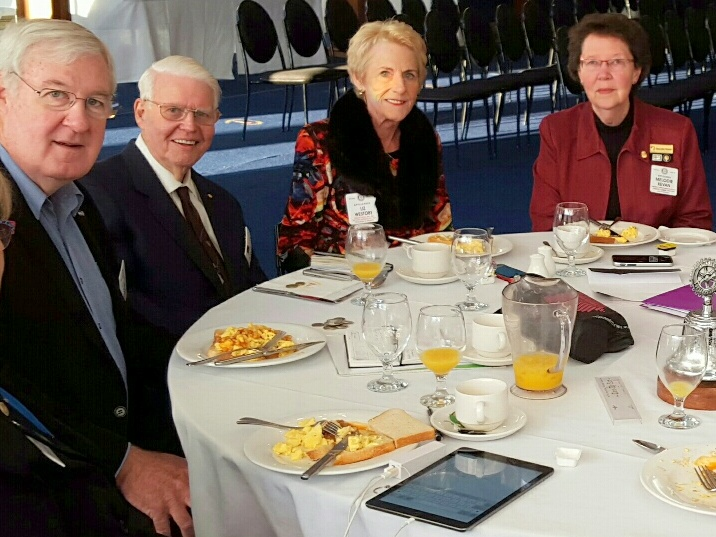 Pictured Past District Governors John Kevan, Bruce James, Liz Westoby, and Melodie Kevan in August 2016. A Commemorative Service to celebrate the life of Liz Westoby will be held at All Saints' Anglican Church, Ewing Avenue, Bull Creek on Monday 18 June 2018 starting at 11.00 am. Liz was a remarkable Rotarian who's commitment to the organisation spanned almost 25 years and who's passion and energy benefited many. 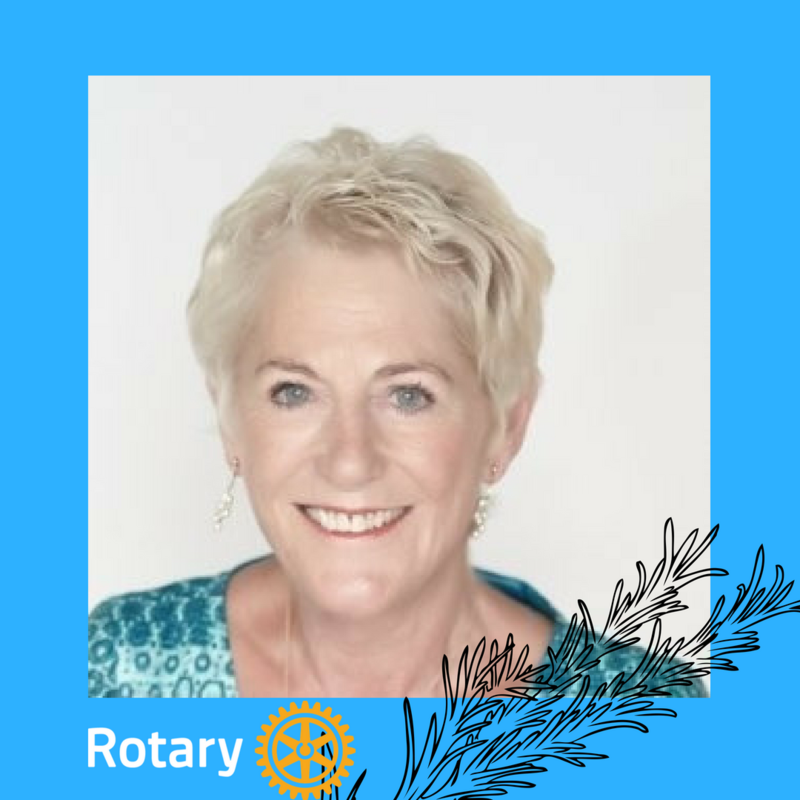 She was President of the now-disbanded Rotary Club of Leeming and served as the 2011 – 2012 District Governor of Rotary District 9455. during her time as a member of the Rotary Club of Perth - Western Australia. In her work leading visioning workshop programs for Rotary clubs around the state Liz met and inspired many, as she did in her final club Applecross Rotary. Her vision shaped how our Western Australian Clubs come together and work together. She cared about the good of all and gave generously. In work, she expanded the State's Equal Opportunity and Workplace Culture program, and she was a leadership trainer. In Service, Liz gave her time helping clubs coordinate service through the Rotary District's resources. Her stories guided our Clubs to invite and motivate new members in service. She was an advocate of the RAWCS - Rotary Australia World Community Service program Rings for Limbs, whereby funds raised by sale of ring-pulls was contributed to the provision of artificial limbs for people in Thailand. She travelled to visit the hospital there a number of times, right up until her final visit there in November last year. Liz Westoby was awarded a Paul Harris Fellow an unprecedented nine times through her giving to the Rotary International Foundation. Her frequent, large contributions helped Rotary with international programs. And, locally she donated small necessities, like her gift of a garden sheds to the Starick Foundation maintenance project. Liz's work carries on. Our history and experience with her efforts is what keeps our Clubs thriving. We show our compassion for our diverse community through the Rotary service that she encouraged. We give big and small, just like Liz demonstrated for us. Fellow Rotarians are invited to share their stories.